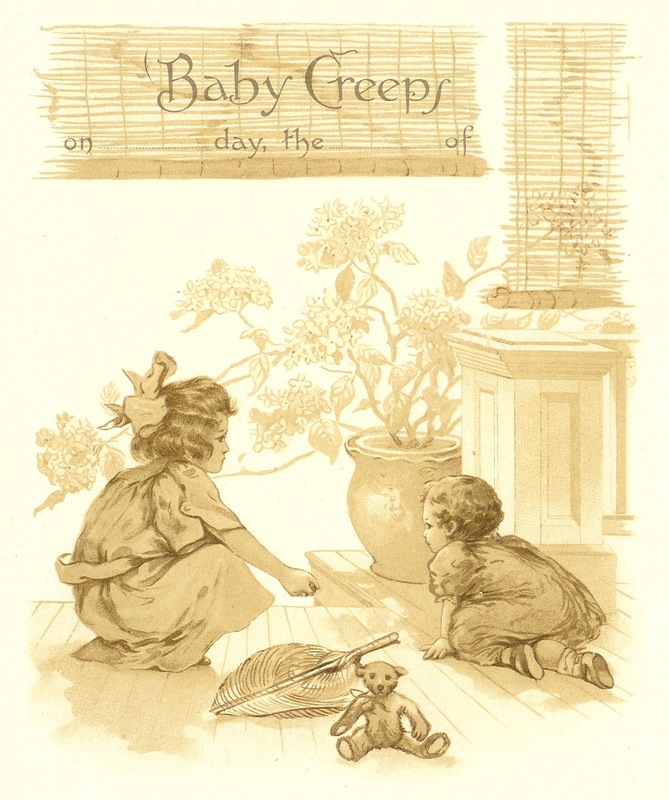 This is a lovely page from a vintage baby book. The graphics are so adorable! This would make a great decoration for a baby scrapbooking page. I hope you enjoy!